MH17: The Dutch Government Speaks For Itself Only. Europe, or at least the European Union [EU], we in India tend to consider as one geopolitical entity. Partly this perception is correct because the governments of EU nations do tend to act together in following U.S.A. in matters of war and violence including “Sanctions”. Since there are many languages spoken in Europe, which few in India speak or read, what the citizens of these nations think is rarely accessible to us here. 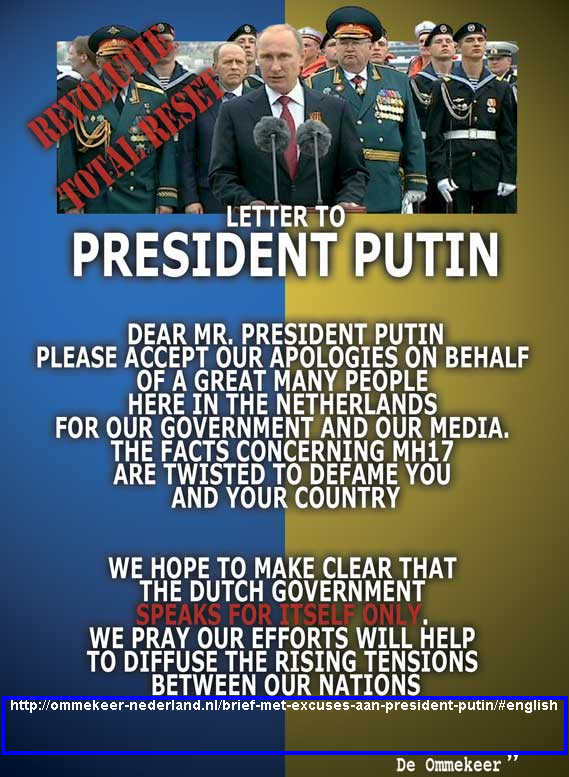 Someone recently brought to my notice an open letter addressed to Russian president Vladimir Putin by Professor Dr. Cees Hamelink of the Netherlands. The letter is signed by a few other leading Dutch academicians and intellectuals. 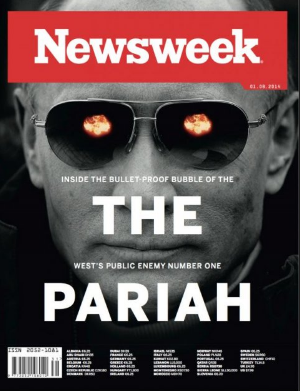 Now Putin is no saint, nor is Russia a pacifist nation. It is nobody’s case that Russia is an ideal nation-state for others to follow as a model; indeed, far from it. However, anybody who cares to find out would see through the lies and deceptions of US and European governments in their propaganda war against Russia since the Ukrainian crisis. In fact, US-NATO played a very active and decisive role, politically and militarily, in organizing and evicting in a putsch a democratically elected President Viktor Yanukovych, who fled to Russia. Russia wouldn’t sit back idle to such developments taking place just across the borders. USA has intervened militarily on the American continents time and again for far less “provocation” and zero threat to its security, such as in a tiny nation Granada. 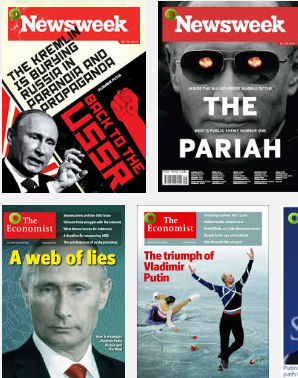 Western media has played her sinister script in this propaganda blitzkrieg to the hilt. Professor Hamelink’s letter gives a sobering reassurance that everyone has not bought into US-NATO propaganda. I give link to the site where his letter is published in four languages: Dutch, English, German, and Russian (I wonder why French was not included, French government is at number 3 in the rankings of violent-states) and reproduce the English version below.